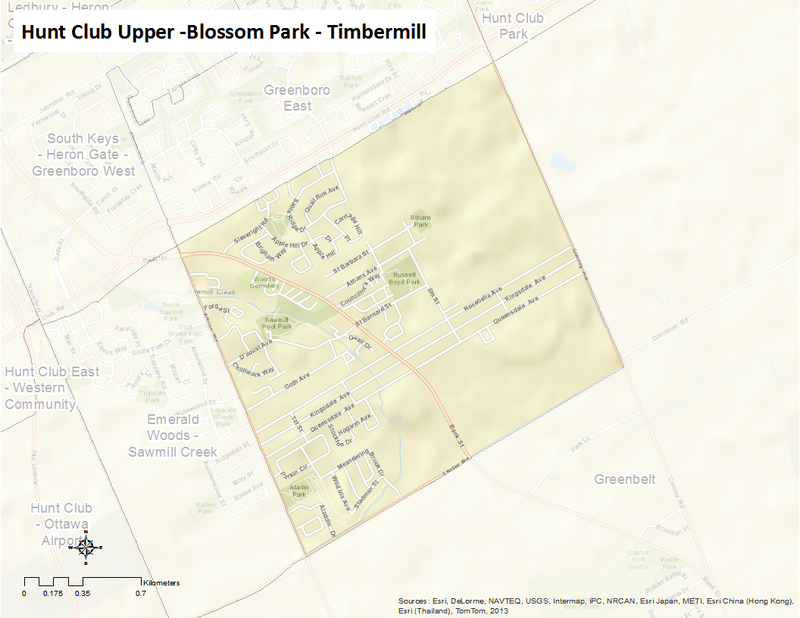 Hunt Club Upper-Blossom Park-Timbermill is bounded by Hunt Club Road to the north, Lester Road to the south, Conroy Road to the east, and Albion Road to the West. This neighbourhood was originally part of the City of Gloucester until its amalgamation with the City of Ottawa in 2001. This is considered to be one of the outer suburban neighbourhoods of the city.